I’m moving soon. I realize I’ve declared an intention of moving before and not followed through with it, but this is a move that is 100% for me and nobody else. It’s a move to reflect the changing of life seasons, a move of growth, and a move of necessity. 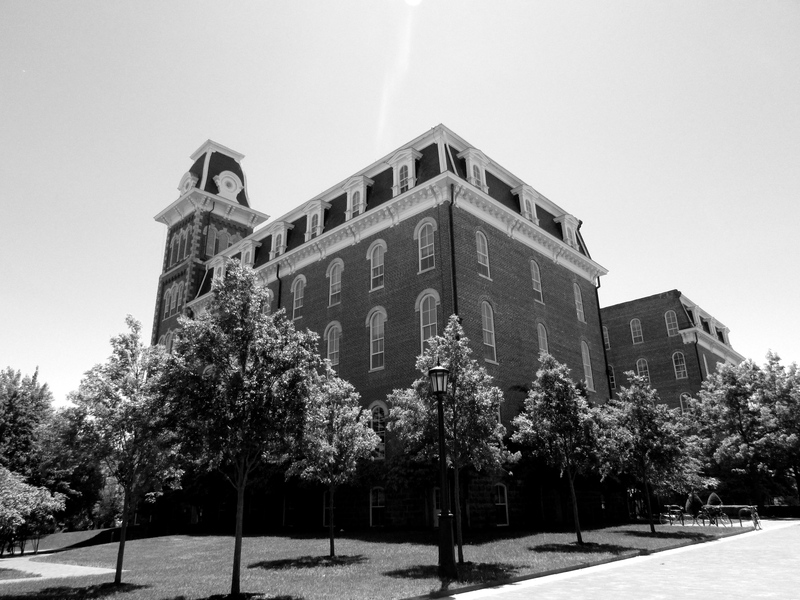 In 2006, I visited Fayetteville, Arkansas for the first time on a campus tour during Thanksgiving break. I think I fell in love with the town just in the drive up there. There are all sorts of winding road for the last hour of the drive, and during that time of year, all the hills are covered in red, orange, and yellow trees. For a girl who had been stuck in Texas for five years, the idea of living somewhere where seasons existed was a dream. The University of Arkansas was the only school I even applied to when it came to college, mostly because I’ve got a major stubborn streak and was determined to only go there for school. Fayetteville was a town I chose just for me. It’s the town where I first began to come into my own. I experienced so many firsts, both good and bad, but every first is interwoven with growth. I think there are some places that are somehow tailored to fit a person’s personality, and Fayetteville is one of those towns for me. After my divorce, I moved back to Texas for a month before spending most of 2014 in Germany. I remember crying as I drove away from Fayetteville, not because of the divorce or some of the broken relationships tied into that, but because I was leaving a place that truly felt like home. I’ve visited a few times since then, and that strange combination of peace and excitement washes over me during every drive up there. I’ve now been back in Tyler for ten long months. Ten months of adjusting. Ten months of struggle. Ten months of fighting that depression-monster again. However, it’s also been ten months of learning who I am. Ten months of finding what truly makes me heart happy. Ten months of growing into the person I want to be. It’s been a strange ten months, but I think that it’s a chapter in my life that needs to end as soon as possible. It’s necessary for the growth of the character, but you struggle through every word. I’m taking control of my story. In just about two months, I’ll be moving back to Fayetteville. This week, I started back to school in the form of one online class, and in the spring, I’ll be back to going to school full time. It’s going to be a struggle. I’ve never been very good with going to class or studying or even really staying disciplined enough to complete many things, but I’ve got a long-term goal this time. I got accepted into the English department, studying a combination of creative writing and journalism, which is a perfect fit for me. Hopefully I’ll be able to translate that degree into a job in the editing/writing/publishing industry back in Frankfurt in a couple years. To say I’m nervous would be an understatement. I’m scared of so many things. I’m scared that I won’t do as well in my classes as I hope. I’m worried that school will wear on my psyche again. More than anything, I’m terrified that the depression that has been consistently lurking in the semi-shadows these past few months will step out and try to take over my life again. However, I think that this is the best time in my life to do this, to take these chances. I’ve got nothing tying me down, no reason to keep me where I am. In any case, moving back to Fayetteville is a temporary step in the grand process of moving back to Germany. And anything that can allow me to live in Germany for more of a full-time experience has to be worth the effort.